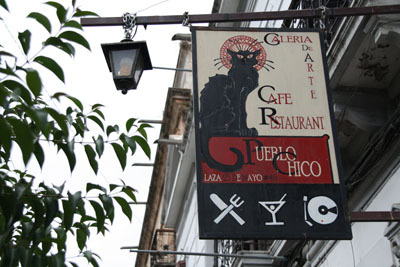 El Pueblo Chico is a café-bar with a special atmosphere. 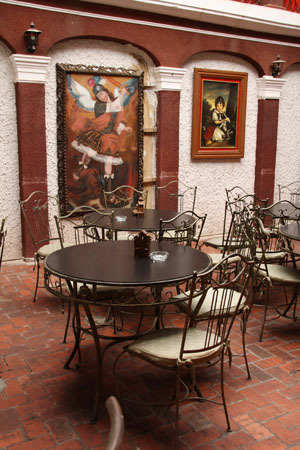 You enter through a shadowy hall and arrive at a very bright patio where you can admire various paintings on the walls. 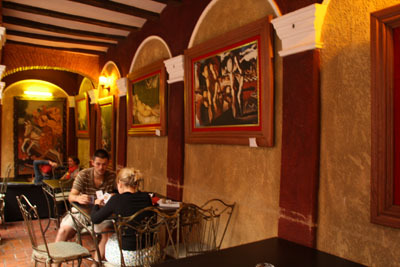 As it is a free art gallery many local artists display their pictures here. The speciality of the house is the Bolivian national dish Pique Macho but there are many others to try such as Piqueos, spaghetti, paella, salads and tortillas. 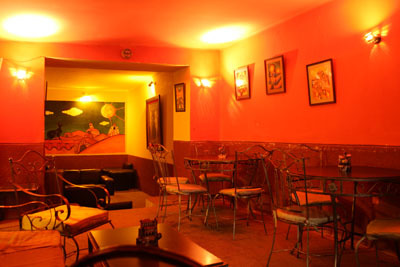 At night the patio also turns into a cosy bar where you can enjoy the 21:00 - 22:00 happy hour, which runs until 23:00 at the weekends.